As I look back on my first year with Solarify, I can confidently say that it has been an insightful journey — into the world of start-ups, renewable energy, and personal growth. The journey has been more of a thriller than a roller coaster ride, as I learnt to wade through the various challenges a bootstrapped start-up faces. Understanding the market segment, building a brand image, setting goals with deadlines are some of the major challenges I adapted to in the past year. Solarify is the first company I chose to work with, in my career. During campus recruitment in college, discussions usually revolve around the typical work environment, the colleagues and the type of work. And because of that, I had formed certain uneasy opinions about life at work. But Solarify has been different in almost every aspect. As a young company, we are eager to take on multiple ideas, experiments, and risks. I Realise, Therefore, I Am. My journey began with unlearning the approach I used - guess, we all kind of did - during undergraduate engineering, to solve problems, that is, top to bottom. The approach at work is bottom to top, wherein the customers’ pain points are our first priority and we look to mould our product to solve their problem. The solutions are simple and straightforward. The technology is available. It is just a matter of choosing the right product. Most customers are satisfied only when the solution fully solves their problem. It does not matter what the specifications of the product are, where it is from, and how much of an impact it would make if they chose another product of the same specifications — as long as it works and is economically feasible. Being a novice in sales, confidence was of utmost importance. The technical know-how is only to make the process of finding the solution simpler. To prove that the product would work as per its quality standards, it takes something more than the technicality — dialogue with the end-user. The why, an impulse that fires in our brains right from when we are very young, is suppressed, courtesy of our education system and our society. But it was finally answered — things related to Solar energy and otherwise — as I spent more time learning at work. This helped me a lot while conversing with clients about the benefits of adopting rooftop solar. Now, I keep it simple and precise to what they ask for. The work has helped me broaden my perspective about businesses and people. I learnt to network with people (by nature, I am taciturn) by participating in gatherings, networking events and business meetings. It has helped me transform into a confident person as well as credibly shoulder the responsibility of the company I represent. Undoubtedly, the sales function has been the most difficult aspect of the job. This is because while making any decision, I tend to go with logic rather than emotion. This meant that I was able to close a deal on a project only after a year into the company. By going through the sales cycle multiple times, I have discovered that emotional intelligence is equally, if not more important. 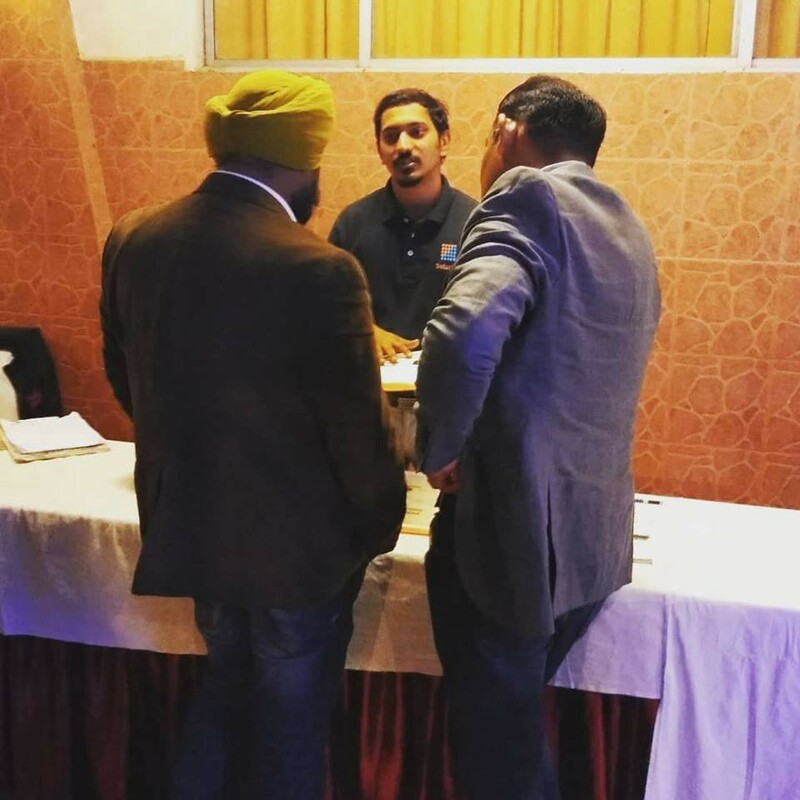 I dealt with a lot of rejections at first, but as I learnt to connect with the customers’ problems, I was able to address them more effectively. It was a very long wait but a fruitful outcome in the end. A Jack-of-All Kind Of Trade. I bettered my skill sets, right from writing blogs, designing flyers and infographics, curating content for social media, to sketching 3D drawings, tracing architectural plans using AutoCAD. Learning these skills has pushed me to think out-of-the-box while solving any problem. 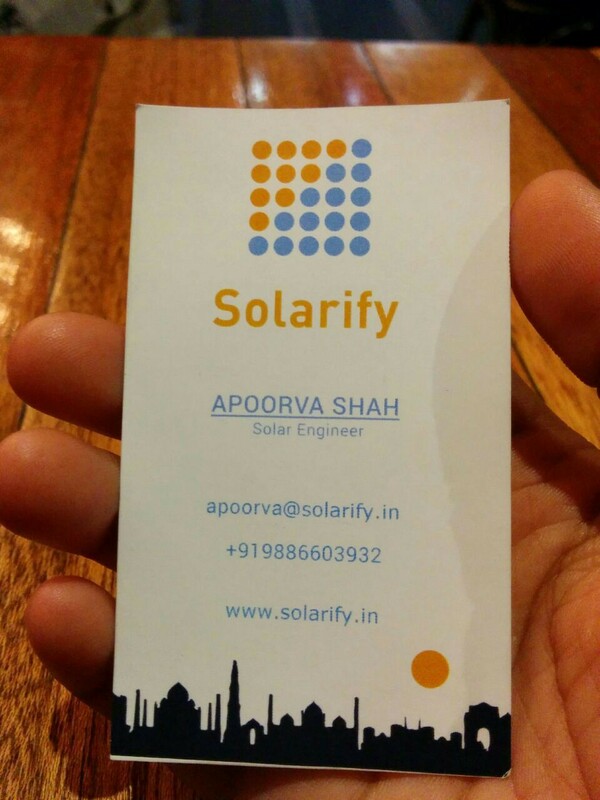 I realise that a broader skill set has better equipped me to contribute to the day-to-day operations at Solarify. In my opinion, this holds true even at your own home, a start-up or an MNC. Keeping Things Simple Is A Real Struggle. Sharing ideas, experimenting with marketing strategies and involvement in branding activities, has had a great impact on me. From writing essay type answers in undergraduate engineering, it has become easier for me to present information in shorter sentences and paragraphs. It is certainly still a steep challenge to keep things simple. “If you can’t explain it simply, you don’t understand it well enough.” - Albert Einstein. The past year has enabled me to open up and test my potential as a solar engineer. While it was difficult at the start, I am now able to multitask by applying a wide range of learnt skills. It has become easier for me to unlearn certain aspects of key topics, and that has helped me iron out the small flaws in my logic. I am able to experiment freely, explore the unknown, and take calculated risks in improving the work that I do. 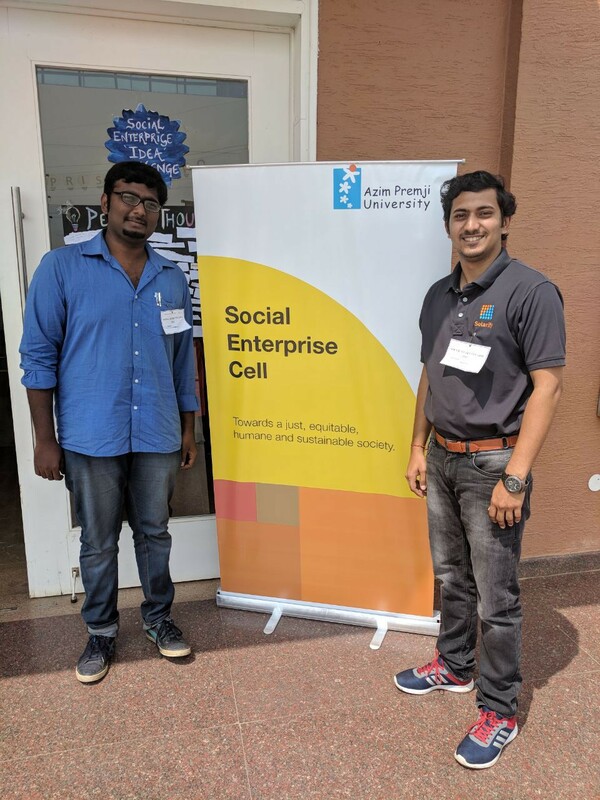 There is still a lot more for me to learn, and with Solarify as a stepping stone in my career, I know that I will hit my peak learning curves and be an impact engineer. This is my current elevator pitch for Solarify. 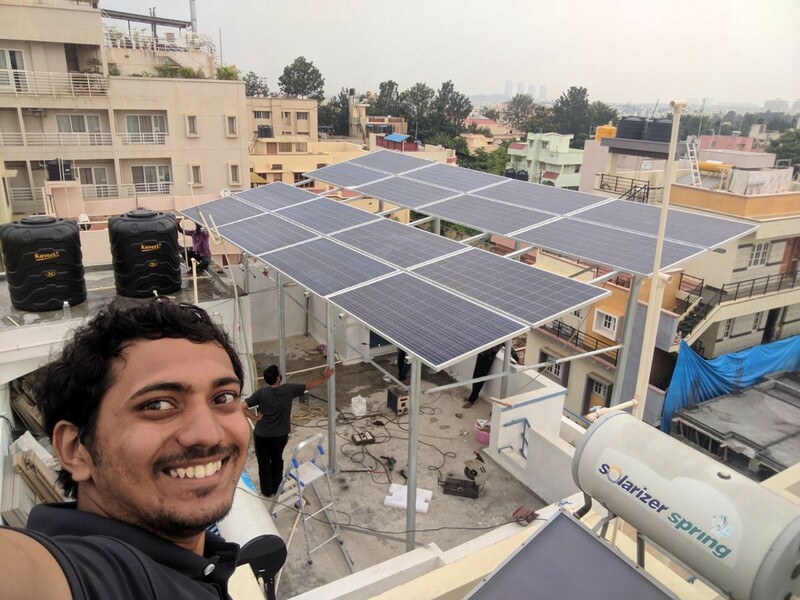 Solarify provides rooftop solar solutions and facilitates consumers in becoming Independent Power Producers at their very own premises. People can generate their own electricity and use it to power their buildings. By going solar, consumers can now save and earn, while making the shift to a sustainable lifestyle. Join me in this journey of transformation, as I intend to improve not just my elevator pitch but also real lives in the real world.